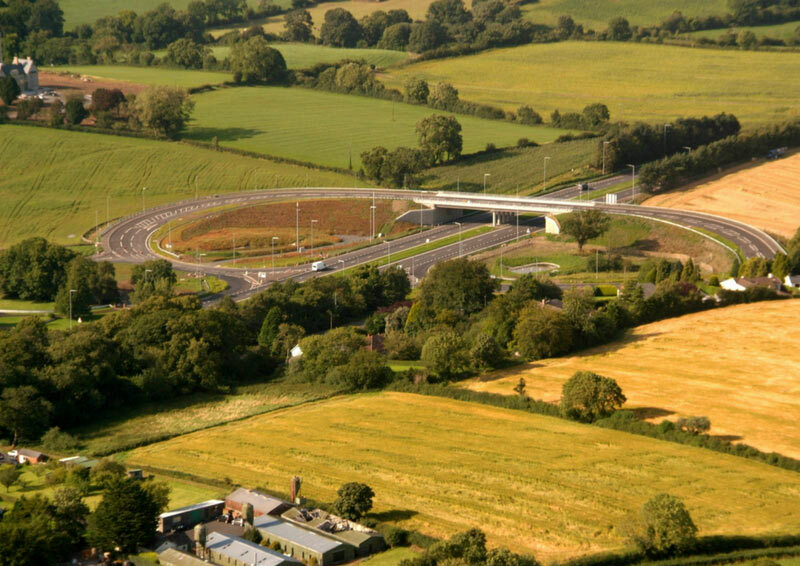 The A1 Junctions Phase 2 Project will involve a number of improvements to the existing A1 dual carriageway between the Hillsborough Roundabout and the existing underpass junction at Loughbrickland. The A1 dual carriageway which links Belfast and Dublin is part of the Eastern Seaboard Key Transport Corridor and currently caters for up to 40,000 vehicles per day. The project will involve the construction of four new compact grade separated junctions, a northbound on-slip at Castlewellan Road (Banbridge), a link road between the existing Hillsborough Road Junction and Milebush Road (Dromore) and the closure of nine selected side roads. In conjunction with these improvements 21 side roads will be converted to left in left out configuration, all existing gaps within the central reserve will be closed and a continuous vehicle restraint system installed. The lecture will focus on how the design developed from Stage 2 to Stage 3 of the DMRB Scheme Assessment Process, focusing on the engineering, social and environmental factors that require consideration when developing and designing a road project within an existing transport corridor. Conor is a Chartered Civil Engineer with 16 years experience and is a Technical Director within the Civil, Highway and Transportation section of RPS Consulting Engineers. Conor is responsible for managing design teams for a wide range of highway and civil engineering schemes. Conor has extensive experience in highway design, drainage design, project management and contract administration associated with public highway and development-led schemes. Conor has also been involved in a number of projects of regional significance within Northern Ireland, such as the Titanic Quarter developments including the iconic Titanic Belfast visitor centre and the DBFO2 scheme involving the construction of four compact grade separated junctions along the A1 Dual Carriageway. Conor is currently acting as the RPS-Sweco Project Manager for the development phase of the A1 Junctions Phase 2 Project.